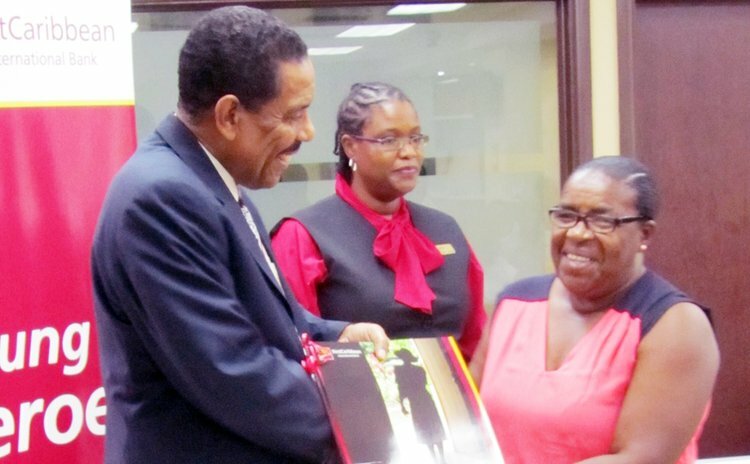 The CIBC FirstCaribbean Unsung Heroes coffee table book is a lasting memento of the work of the work of those who gave of their time, talent and treasure to assist the less fortunate of the region, said Country manager of CIBC FirstCaribbean Dominica, Paul Frampton. He spoke at the launch of the book which features the regional winners of the Bank's Unsung Heroes programme. The book was launched at a ceremony attended by President Charles Savarin and Mrs. Savarin, the Dominica regional winners, the judges of the programme and staff of the bank. The programme has been successfully conducted over the last ten years in all the Caribbean countries where CIBNC FirstCaribbean operates. According to Frampton It became the flagship for volunteerism in the Caribbean where individuals gave selfless to improve the lives of the marginalized in their respective communities. Frampton explained that the programme asked for and received nominations from the public of those it thought deserved the title of Unsung Hero because of the projects that the nominee was involved in. These were judged by a panel of local judges and the local winner was entered into the regional competition. These territorial winners were then judged by a panel of prominent Caribbean persons including former Carib Chief of Dominica Charles Williams. The entries were judged based on the individual's level of time and sacrifice put into their project and the level of impact on the community. Frampton disclosed that although Dominica was not fortunate to win an overall Caribbean Unsung Hero award, it has won four runners-up, the most by any participating country. The runners-up were all on-hand to receive a copy of the book from President Savarin who himself also received a copy of the book.